I’d like to formally announce that Amy and I are engaged, and we both couldn’t be happier! On December 24th, 2008 I picked Amy up after work and took her to Kirstenbosch Botanical Gardens for a picnic. It was perfect. 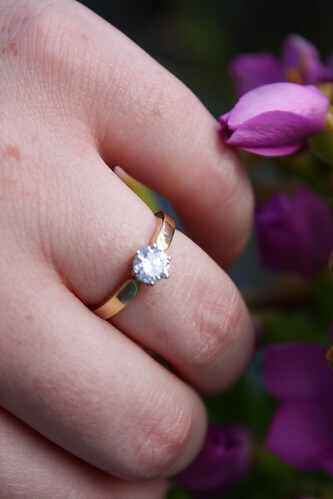 I had the ring hidden safely away in a bag, a one-of-a-kind 18ct Yellow Gold and 0.56ct Diamond ring which I had only collected from the designer that morning! We climbed a particularly beautiful rolling hill of lawn and threw a picnic blanket down. She had not idea of what was about to transpire. Several minutes later, to the surprise of Amy and several picnic’ers who had watched me get down on one knee, I had a fiancé! I called our waiting parents who had been hiding out, awaiting our call. They brought up large amounts of Champagne and we toasted the best day of our lives thus far!